Here’s the story of a lovely two-bedroom home near Los Angeles, that also had three very lovely bathrooms. All of them had hair of gold, like their mother, and that house is now up for sale. 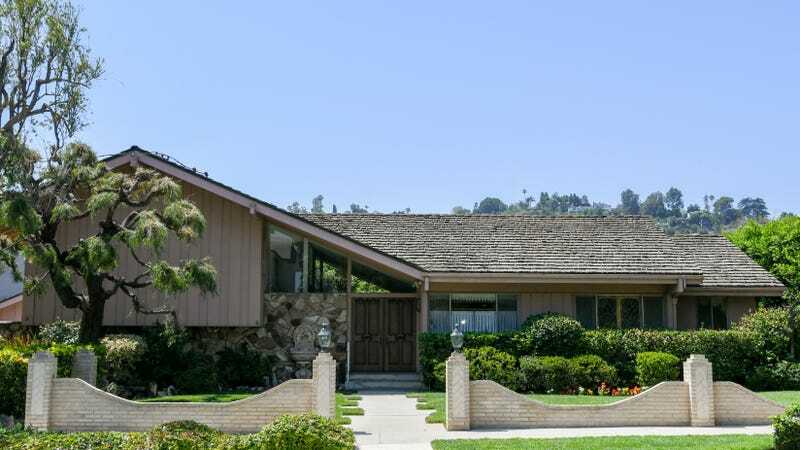 We are referring, of course, to the humble domicile located at 11222 Dilling Street in Studio City, California, better known as the house used for the exterior shots of the Brady Bunch house. As reported by Deadline, the house has gone up for sale for the first time in 45 years, and it’s currently listed at $1.85 million. The Brady Bunch house is supposedly “the second-most photographed home in the United States,” which sounds totally made-up, but apparently the buyers currently currently making offers couldn’t care less about that. According to a realtor working on the sale, the prospective buyers at this point are developers who just want the 1/3 acre the house is built on and may tear down the historic home. The current owners would rather sell to someone who actually wants to keep the house intact, though, so if you’ve got a couple million dollars laying around, now’s your chance to buy a famous building—or at least a famous exterior. That’s the way we all became the Brady Bunch house, the Brady Bunch house, the Brady Bunch house. That’s the way we all became the Brady Bunch house! Another excellent song parody from the AV Club Newswire!